Sometimes the best decorations are your home’s natural surroundings. If you are in the market for window replacement, consider having picture windows installed. Picture windows provide a clear view of the area surrounding your home, making your home seem more spacious while also keeping out allergens and increasing energy efficiency. Many people choose picture windows to enjoy the benefits of the outdoors from the temperature-controlled comfort of their home. You can enjoy bird watching from your favorite chair. Picture windows let the sunshine in, allowing you to bask in natural light. Because they offer an extended view, picture windows can make small spaces seem bigger. You can be a part of nature even when you are inside. 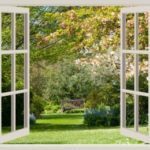 If you have allergies, a window replacement project wherein a contractor installs picture windows may help you breathe more easily. Because picture windows usually do not open, there are no tiny cracks that allow dust or pollen to sneak into your home. You still get the benefits of the view without the taxation on your sinuses. Picture windows also increase your home’s energy efficiency. Because they do not open, they are less likely to have leaks where the air that your cooling and heating system is producing can escape. The natural light that these windows allow in makes it possible to turn off interior lights during the day. The sun lights your home instead! If you have large picture windows, you can control the amount of light that gets in by installing rods that hold blinds or curtains above them. If you enjoy basking in natural light and watching the great outdoors even when you are inside, talk to a trusted window replacement professional about picture windows. They are beneficial for people with allergies, and they can help you save money on your utility bill. Enjoy the beauty of the outdoors within the safety and comfort of your home. The lure of trends is captivating. 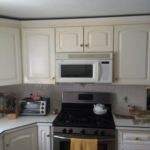 It is natural to see a striking pattern or uniquely shaped gadget on the television or in a magazine and want to rush to your kitchen remodeling designer to make it a reality in your home. The best trends, however, are those that work with the other design elements in your kitchen and improve the functionality of the space. Color is often the first thing that comes to mind when people decide to redesign their kitchens. Recent trends lean toward various neutrals, which are anything but boring. Grey tones create a cool, soothing environment. An all-white kitchen can make a bold statement. Contrasting tones, such as black and white or white and chocolate brown, provide a backdrop for splashes of color in items like small appliances or linens to stand out. Another trend is the use of stainless steel appliances to mimic the industrial chic of professional kitchens. 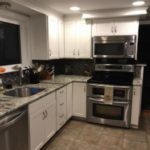 Stainless steel is attractive and easy for a kitchen remodeling professional to work into the overall plan. It is also durable and easy to clean, which makes it more functional than other choices. 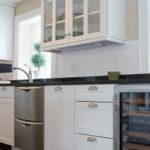 While design elements like your backsplash can be changed periodically at relatively little cost, for high-dollar items in your kitchen, it is a good idea to stick to simple, classic items. For example, the apron-front farmhouse sink is a trend that has passed the test of time because it goes with everything, regardless of whether your design aesthetic is French countryside or Southwestern mosaic. The simplicity of its structure also makes it highly functional so that you do not have to sacrifice usefulness for beauty. When evaluating trends, it is important to think about not only their look but their long-term usefulness. 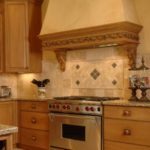 A designer who specializes in kitchen remodeling can help you distinguish between trends that will die quickly and those that will last. Your siding plays many important roles when it comes to your home’s exterior. 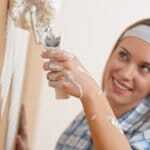 It allows you to customize the look of your home while also giving it some protection. It is also versatile and relatively inexpensive compared to other home exterior options. Think about how comfortable your home is in terms of the internal temperature. 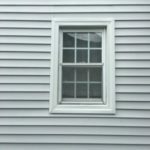 If you notice that it is warm in the summer and chilly in the winter, it might be time to consider new siding. There are different options, some of which are Energy Star certified. This means that your home will be more comfortable and you are adding to the overall energy efficiency of your home. When you are looking at your options, consider the necessary maintenance and durability. This home exterior option is largely resilient and long-lasting. However, there are different materials and each holds up differently. One of the most popular choices today is vinyl material. It is easy to clean, long-lasting and is able to resist many types of damage. Aluminum is another choice that you can explore. This also resists damage well and is relatively easy to keep clean. Repainting it or adding a new coat of enamel aids this material in looking new and standing up against issues, such as scratching. Use this information to make the right choice when you are ready to start shopping for home siding. It will make it easier to explore the options available and come to a decision. Deck building allows you to get creative and do something that no other deck in the area has. There are a number of cool ideas you can use to transform your outdoor space into one that all of the neighbors envy. Planters are a simple and effective way to add some color and dimension to your deck. There is no best place to put them, so you have a lot of flexibility with this option. 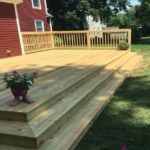 Many people choose to border their deck with them to separate the deck from the rest of their outdoor space. You might also make the rims of the planters wider so that they double as extra seating. Consider adding cascading steps. If you want to add some elegance to your deck, this is one of the easiest ways to do it. It also makes it a lot easier for people to enter and exit your deck. You can choose the overall width of the steps, allowing you to work with the space that you have. You can opt for railings or just keep them open. Add a roof or pergola to your deck. If you want to enjoy your deck during all hours of the day, you might want some shade during the morning and afternoon hours. 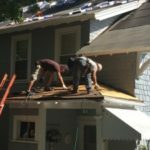 Consider applying a roof to at least a portion of your deck to protect you from the sun. If your deck directly borders your neighbors, a wall on at least one side can make it a more private space. You can choose to use wood or a similar material for the wall. Or, you might incorporate nature by building a trellis wall and allowing vines to weave through it. Explore these ideas and consider them when you are working on your deck building plan. Think about those that make the most sense for your space and see where you might be able to incorporate them. When it comes to protecting your home, a quality exterior house siding is at the top of the list, right up there with a solid roof. 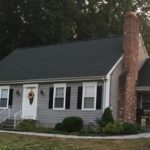 Good siding can guard a home from insect infestations, birds and vermin, weather and a slew of other potential dangers. It can help protect the people inside the home as well. Quality siding can also improve the outside appearance of a property and defend the value of the structure. There are a variety of siding materials available in today’s marketplace. Some, like vinyl siding, are popular and quite well known. Others, such as seamless steel siding, aren’t as common but still come with desirable features. Here is a quick list of materials for exterior siding. Vinyl siding has the desired qualities of being relatively inexpensive, low maintenance and long lasting. It is quite common in many parts of the country, and can be installed by many siding contractors. 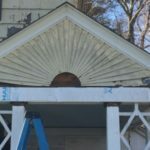 Its appearance can be made to look like more expensive siding, and if necessary it can be repaired fairly easily and inexpensively. Another popular choice for exterior house siding is wood. Perhaps the main advantage of wood siding is its attractive appearance and the fact that it can be installed both vertically and horizontally. It can be durable and long lasting, but it can require a fair amount of maintenance such as painting and staining. Cedar shake siding is more resistant to insects and warping than many other types of wood siding. A major advantage of seamless steel siding is that it is practically maintenance free. It will last for a long time and is durable, being resistant to bugs, weather and fire. Exterior house siding by Nu-Face Home Improvement can help you find the best solution for your property. The right choice of siding can safeguard your home and its contents for decades to come. When shopping for new window replacement for your home it is important to know what you want. There are many options in the marketplace and each choice will affect how your home looks, both inside and outside. The good news is that with a little research you should be able to find windows that will increase the efficiency, comfort and security of your home, while adding to its appearance and resale value. You can pick from a variety of styles, features and materials. One of the first things to decide on is how many panes of glass you would like in each window. Single and double glazed windows are generally less expensive, while triple glazed windows will increase the security and energy efficiency of the home. In many cases, the savings in utility bills can help offset the price of these windows over time. Triple glazed windows also create an effective sound barrier and can prevent condensation. Window replacement is an opportunity to pick the style of window that is best for your property. Among the styles to choose from are casement, awning, single and double hung and sliders. Each style will come with a suite of features that have some pros and cons. 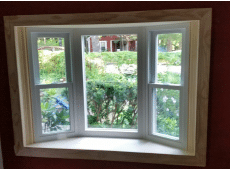 Double hung windows are easy to clean and allow for excellent ventilation. Sliders, which slide from side to side, can work great in rooms where space is limited. Awning windows are hinged at the top and are a good choice for bathrooms. The window frames come in several materials, such as vinyl, composite plastics, natural woods and metals. Each material will affect the appearance of the window, as well as such factors as upkeep, durability and pricing. By doing some research and working with an experienced window contractor you can get the perfect windows for your home. Window replacement with Nu-Face Home Improvement will be an upgrade to your home for many years to come. In years past, deck construction has allowed people to extend the living space of their home to the outdoors. Decks have provided a place where people can gather together to enjoy the outdoors privately or with invited guests. In recent years, this trend has shifted from a deck in the back yard to a porch in the front yard. There are various reasons that people are beginning to prefer a porch in the front yard. For one thing, it is in a more public place of the home. This allows for chance meetings with neighbors and other people who live nearby. There are primarily two types of families that benefit from these meetings. The first is a family with young kids. Having a porch allows children to play outside while parents comfortably supervise. Since the parents are already outside, it allows them to meet other parents who are also outdoors with their kids. They can then become acquainted and feel more comfortable with their children playing together in the front yard and possibly having future playdates. The second is older couples that have downsized to a new neighborhood. A porch gives these couples an excuse and a way to comfortably spend time in the front yard. Spending time outside gives them more opportunity to meet and become acquainted with others who live in the area. 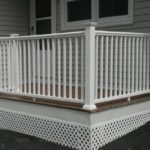 Another reason that a porch is becoming preferable is that it provides more protection than a deck. Typically, deck construction does not include any shade covering. Thus, the deck is difficult to use in hot weather or when it is raining. On the other hand, a porch does have a covering and can easily be used year-round. Porch and deck construction does vary depending on the region. In areas where real estate is more expensive, both a porch and a deck are less likely to be constructed. However, both can be a lovely addition to any home. Good windows should last you 15 to 20 years. At some point, your windows will need to be replaced. While it is not an exciting home upgrade, it is one that will add significant value to your house and make it more energy efficient. When considering window replacement, there are four steps you should follow to find success in this endeavor. First, determine a budget. Windows can be relatively inexpensive or they can be very pricey. Determine how much you can comfortably afford and shop within that budget. 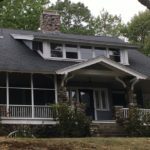 Of course, the quality and efficiency of the windows will improve with a higher cost and that is something you need to consider when setting your budget. Second, buy at the right time. You should avoid any window replacement projects during extreme weather. 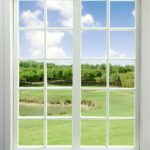 Your windows will be completely removed during the process, so it is best to have the project done in the spring or fall rather than in the middle of the summer or when it is snowing outside. Third, hire a window installer. 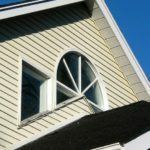 Window installation can be difficult and if you mess something up, it will be much more expensive than if you just hired someone to do it in the first place. When hiring a professional, you need to feel confident that he or she will meet your expectations. Ask the installer for references and find out if he or she is licensed and insured. You should not go with the lowest bid simply because it is the least expensive. Hire the person who you feel will do the best job. Fourth, pay when the job is completed. When you sign a contract, there will be some money required up front. You should negotiate that amount to pay as little as possible, within reason, and then pay the remainder after the job is completed and has met your expectations. Window replacement should result in better energy efficiency for your home when it is done by a professional. He or she can help you select the best windows for your budget. Having new windows installed in your home can yield a number of great benefits. 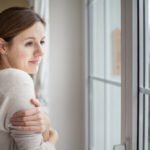 Not only can new window installation save you money in energy bills, but it can also improve the health of you and your family. 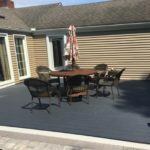 Now that you have built a nice deck and enjoyed it through the summer, you want to think about how to protect it during the fall and winter. It can get expensive if you have to replace any of the decking or railing because of a harsh winter, which is why it’s worth it to take just a little extra time to protect your investment. A roof leak can lead to serious problems in your home. If the leak is not addressed, your furniture and belongings could be damaged by water, or you could experience the growth of potentially harmful mold. Here are a few simple steps to take if you suspect you may have a leaky roof.